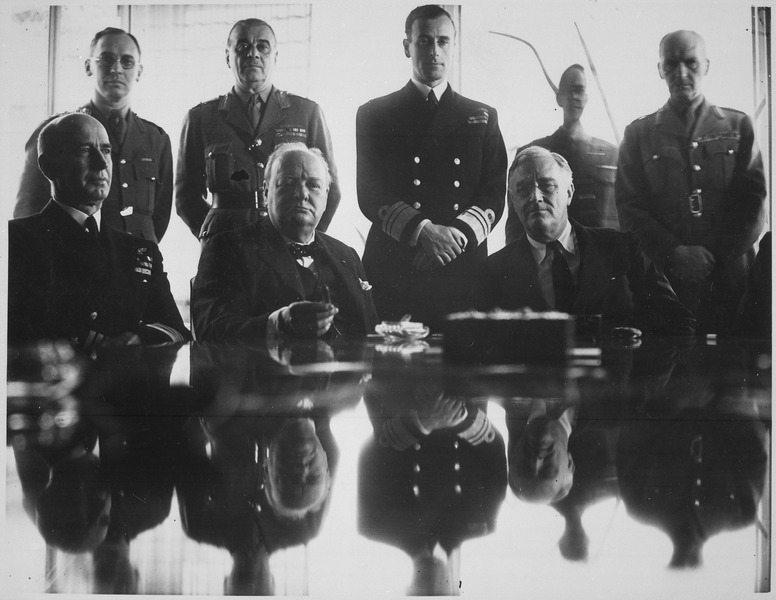 The ‘Great and Noble Undertaking’ of the Second World War, the largest conflict in human history, confounds the mind. The sheer scale is almost incomprehensible. The Second World War has consumed our social, political and academic conscious, shaping the world left in its wake. An appreciation of the joint Allied effort that borders on obsession has constructed, a not totally undeserved, legendary tale of the level of cooperation that the Allies achieved in their shared goal of ridding the world of fascism. 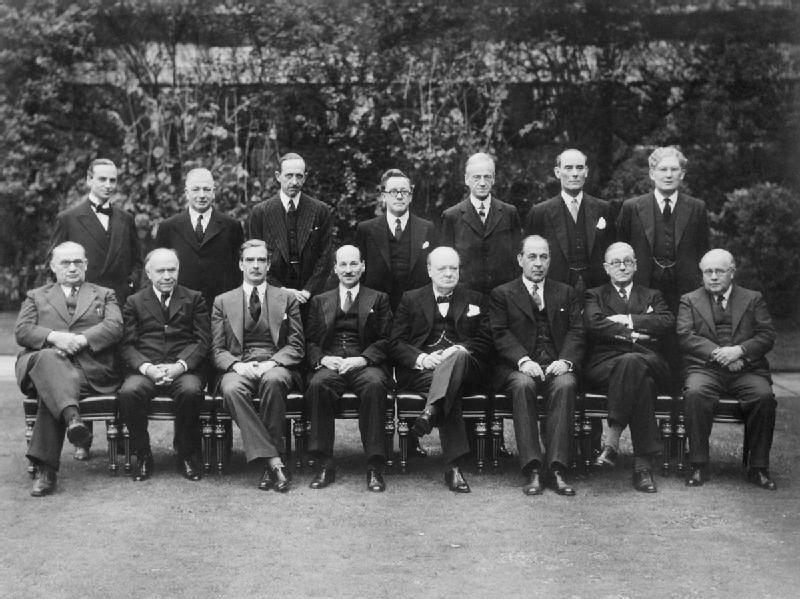 In particular, the especially close relationship between the Americans and Brits, as personified in the Churchill-Roosevelt relationship, has become something of a fabled image of perfect synergy. However, as years of scrutiny, research, and writings have slowly peeled back layers of this particular onion we have come to appreciate the vast complexities of this relationship. The further we delve into these complexities the more we learn of the challenges and imperfectness of this grand alliance, the world it has fashioned us, and indeed about the nature of ourselves. 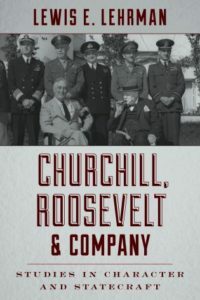 Lewis E. Lehrman’s new foray into the subject, Churchill, Roosevelt & Company: Studies in Character and Statecraft, is an appreciated addition to the body of work on this subject. Drawn from an impressive array of eclectic sources, Lehrman has constructed an intimate narrative of the personalities that traversed these great events, their role in shaping the world around them as well as their limitations. This journey into the back channels of the Anglo-American relationship creates a compelling portrait of the imperfection in the great alliance and reminds us that it was both highly complex as well as, more importantly, shaped by those who were in the end, only human. These, sometimes, legendary figures are given fair and respectful treatment that allows us to reach past myth to create an understanding of their very human limitations. In the process, we gain insight into both what nourished the alliance and what about this ‘special relationship’ did not work quite so well. From great admirals to lowly under secretaries, Lehrman creates an incredibly detailed and insightful narrative. It has poignant moments wherein the heartfelt sincerity of the Anglo-American relationship can be felt. At other times the caustic real world cynicism of grand politics also reaches through. From Russian spies to American intransigence this is a book that is engrossing and difficult to put down. The level of intimacy and details Lehrman provides, along with his thoughtful and insightful assessment, leaves one with a clear picture of the personalities, nature, constraints, motivations, as well as the strengths and weakness within the Anglo-American relationship. Lehrman’s treatment of the subjects is fair, unbiased, and although respectful pulls no punches. The level of research is impressive and leaves the reader with a clear and unique picture of each government’s organisation. We see both the US and UK were hobbled in much the same way. Both were ruled differently, faced different constraints, and operated in different systems that held their own unique structure, however, they both shared the understandable limitation of being only human. 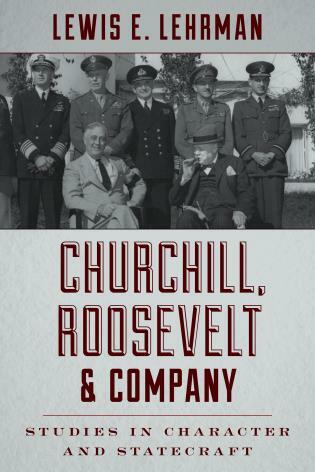 The reader walks away from Churchill, Roosevelt & Company: Studies in Character and Statecraft with a really solid basis for appreciating the Anglo-American relationship both at a personal and governmental level. The book itself is structured in a fascinating, and effective manner that would have no doubt been challenging to the author but will serve the researcher well. With an interesting trick of writing, Lehrman breaks down his study to chapters about certain individuals interspersed with thematic chapters. He does so in such a way that they could stand alone as a reference material while also somehow managing to build a seamless narrative of the evolving war and Anglo-American relationship. Lehrman manages to do this without ever tripping over himself. This method somehow never falters under Lehrman’s watch and one is left with a marvellously engrossing read of difficult material made easy that manages to also represent what would, no doubt, be an excellent research companion. Lehrman’s insight, extensive research, his willingness to let the individuals speak for themselves through endless quotations in a seamless narrative, make this an excellent addition to the bookshelf. 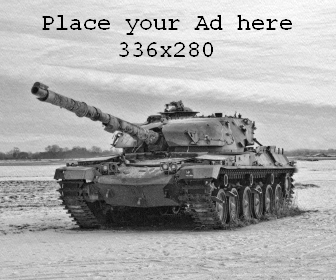 Be it a hobbyist’s interest in the Allies or an academic’s Churchill, Roosevelt & Company will not disappoint.